When it was revealed last week that Random House Hydra, one of that publisher's new digital only imprints, was exploiting authors under an extremely unfair contract I took it as a sign that Random House was going down the same path as Simon & Schuster, Harlequin, Penguin, and Pearson in deciding to take advantage of desperate authors. It looks like I might have been wrong. 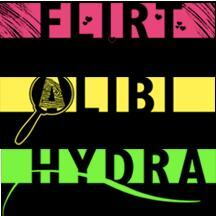 Random House has just announced a new contract for Hydra as well as RH's 3 other digital-first imprints, Alibi, Loveswept, and Flirt. The new terms still aren't as good as what a decent agent can negotiate nor as good as what a self-published author can earn on their own, but at least Random House isn't quite so ruthlessly exploiting authors. Under the new contract, authors are reportedly going to be given a choice. They can stick with an improved version of the old so-called "profit-sharing" contract or they can choose a more traditional contract. With the more traditional contract authors will receive 25% of net income, Random House's standard rate for ebooks, and won't be charged any of the production costs. They might also get an advance, but I would not count on it. Under the profit-sharing option, there won't be an advance. Authors will receive 50% of net revenue, with a twist. Random House will cover digital production costs out of their share, but on the print editions the net will come after production costs have been deducted. RH will also cover the costs of marketing the work (up to $10k), and any marketing costs over that will be offered as an option, not a requirement. Both options include a no-time-limit contract that extends as long as the work remains in copyright, but there is also a new reversion clause that will let the author out of the contract if fewer than 300 copies of a title are sold in a given year. And authors are still forced to give up primary and subsidiary rights (but not performance rights and transformative digital edition rights). All in all this is a much improved contract, but no matter how much it has changed there is one thing we should never forget. That original contract is how Random House would be operating if they could get away with it. Random House only changed the contract after they were publicly shamed. They still crafted the original exploitative contract (more details here) and would have kept it if not for the outcry. That tells me that RH was working in the same "screw the author" mindset as Simon & Schuster, Lulu, Harlequin, Penguin, and Pearson, all of which are partnered with Author Solutions. That is a good reason to not ever trust them completely, IMO. The best test will be once the merger is complete and we get to see what policies the unified Random Penguin applies. Especially when it comes to Author Solutions, which they’ll own, and libraries.